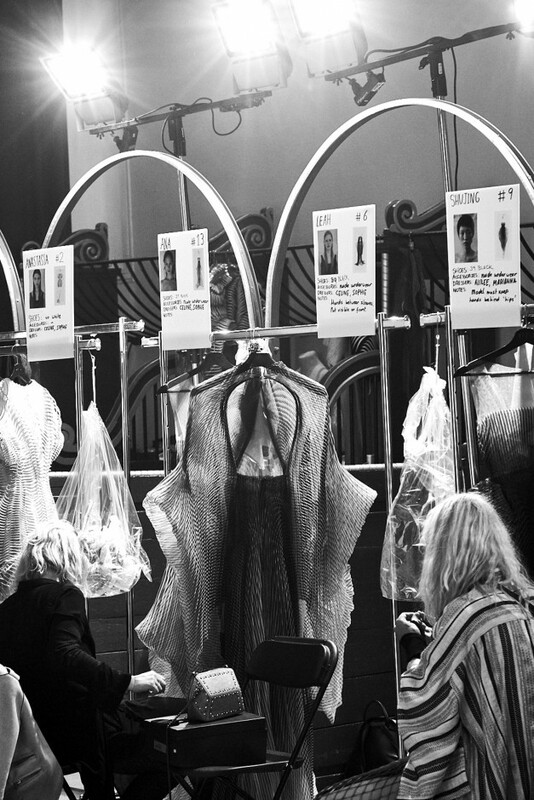 We spoke to Iris Van Herpen backstage at her 10th anniversary Couture show. 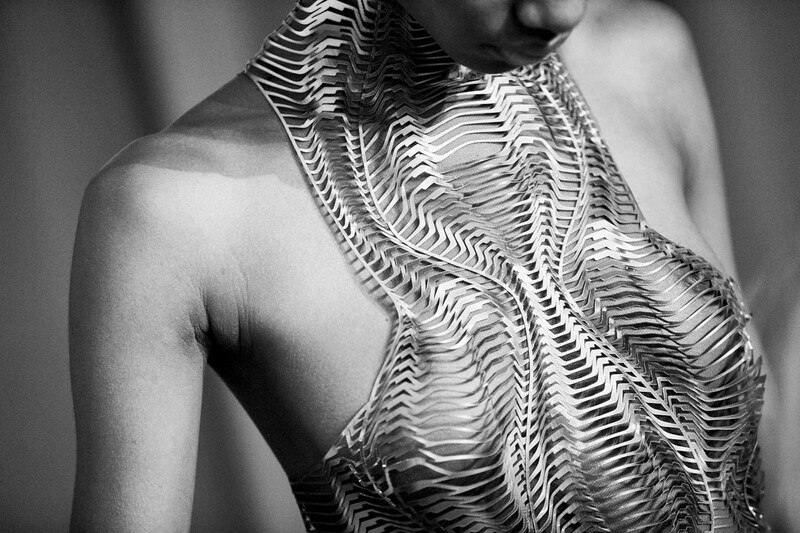 Dutch designer Iris Van Herpen has spent the past decade pushing the boundaries of fashion. 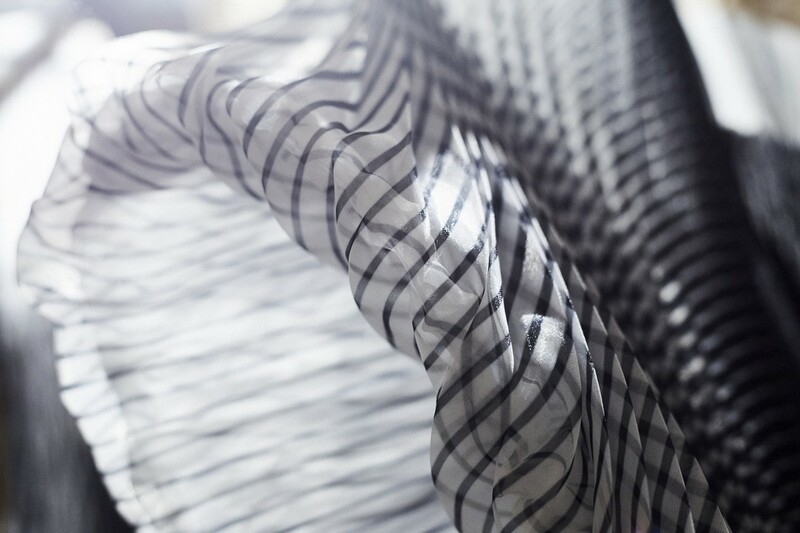 She has created a new vernacular of materiality that fuses together new textiles, technology, science and pioneering production methods with insouciant confidence. Whether it’s being the first to produce a 3D-printed dress or working with bio printing, Van Herpen has continually explored new narratives around craftsmanship, new technology and fashion, and has been an ardent supporter of collaborating with artists and scientists. For her label’s 10th anniversary, Van Herpen’s show “Aeriform” was inspired by the anatomy of air and the fluidity of water. She sent down a procession of 18 sculptural dresses that were highly textural and floated around models’ bodies like ethereal clouds. The collection ranged from delicate silks that highlighted the contours of the body to abstract laser-cut metal pieces that were more akin to wearable art. 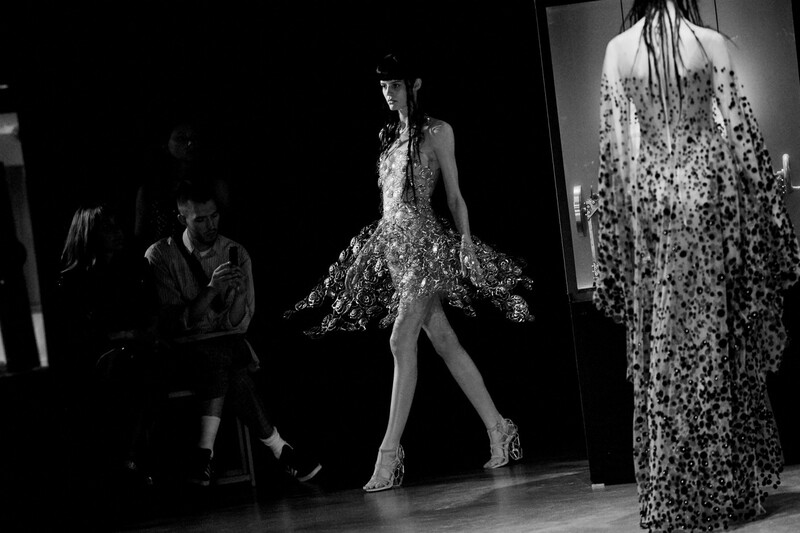 Van Herpen’s shows have been described as otherworldly, and this season she collaborated with Danish underwater artists Between Music, who provided the soundtrack to the show. 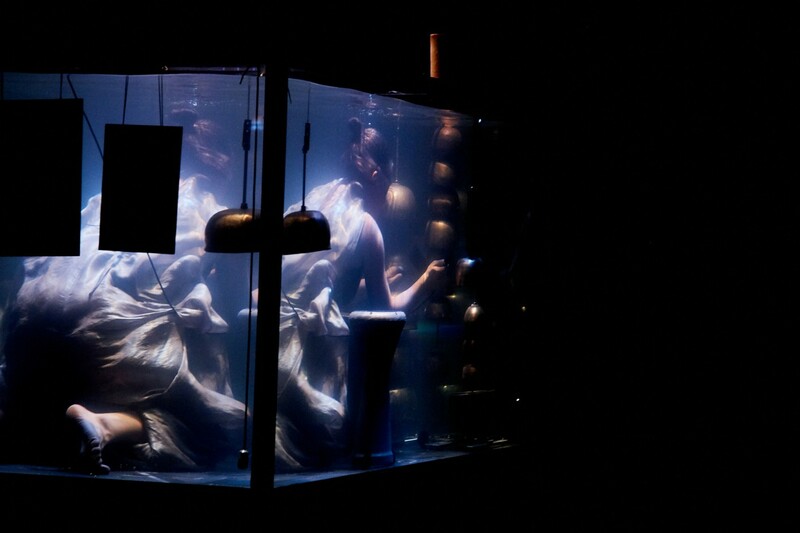 The five artists played on custom-built instruments and sang underwater in large tanks filled with water while the models snaked around them. The group has spent a decade perfecting their technique and, like Van Herpen, has worked with different disciplines including deep-sea divers, physicists and neuroscientists to perfect their unique sound. 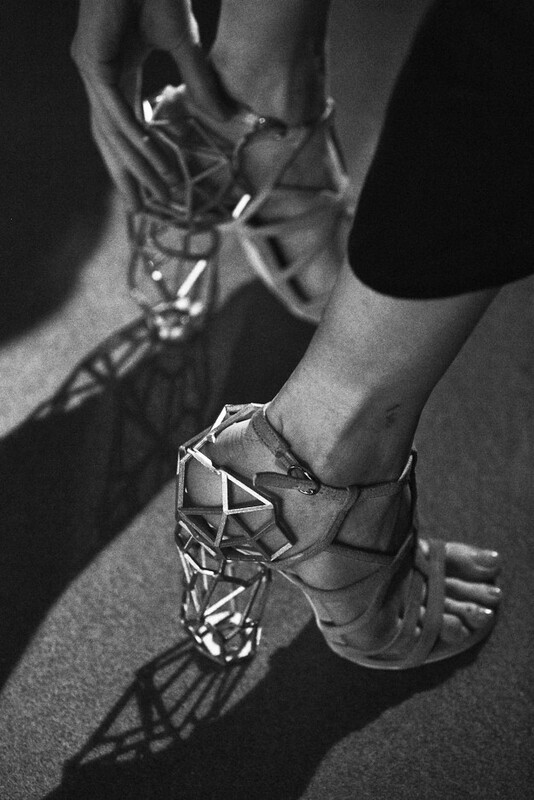 “I felt really inspired by their process, so I’ve been working together with them for this show,” Van Herpen said. 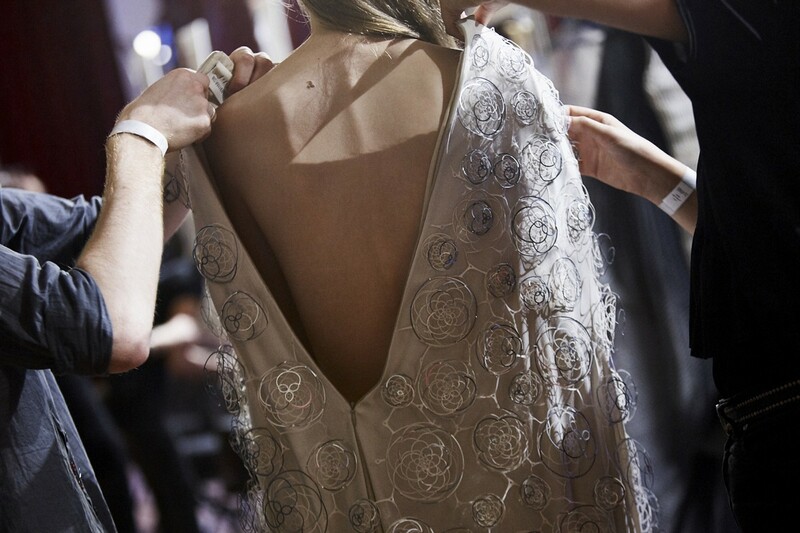 Click through below to check out more from backstage and the show. 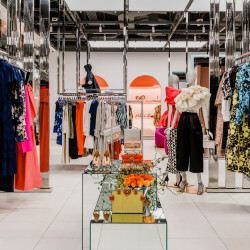 “If you look at the collection from the start, the first pieces are very much the sketch pieces like lines around the body. 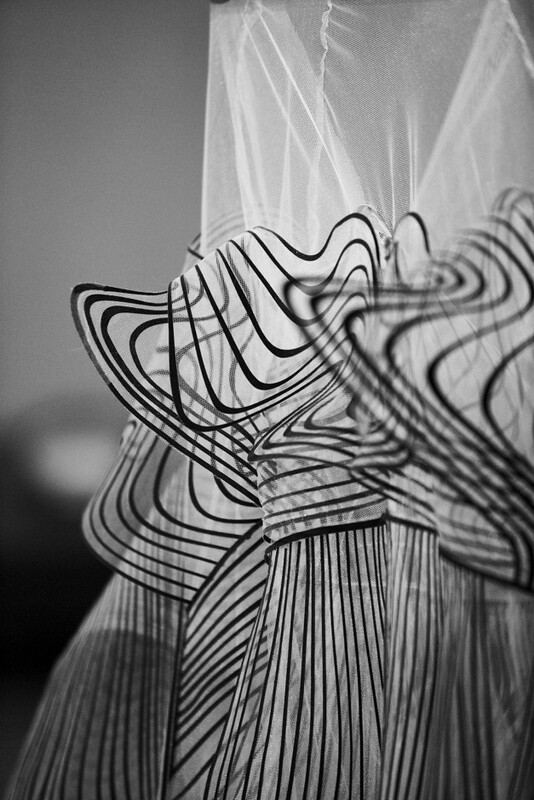 And they’re very much inspired by air and they’re weightless,” explained Iris Van Herpen. 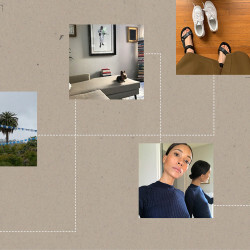 “For me, it’s very important for me to expand my field and go further into collaborations outside of my own discipline. 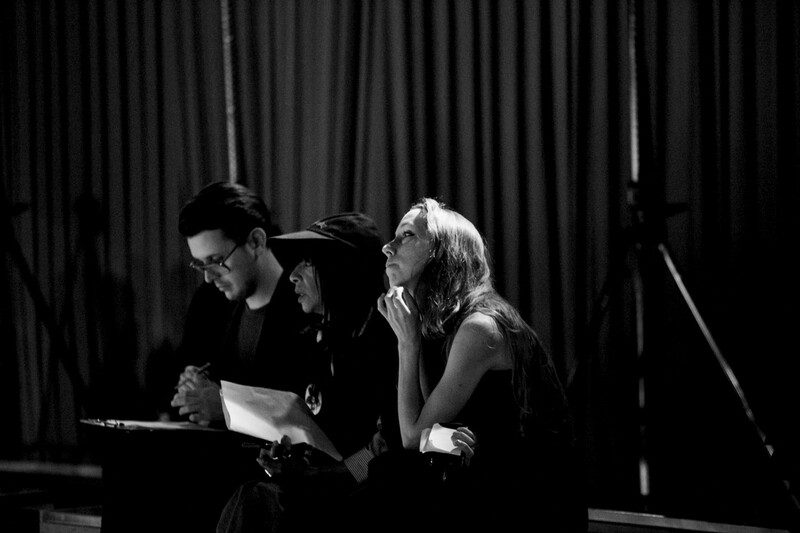 I think I can discover a lot outside of fashion that I can bring into fashion,” the designer said of the future.